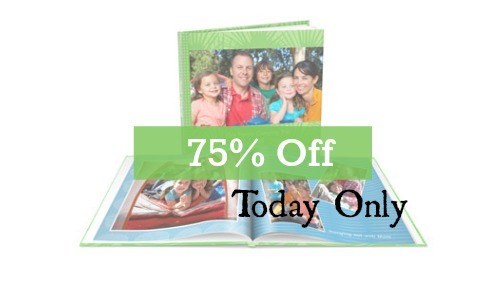 If you’ve been looking for a great deal on photo books, today you can get Shutterfly photo books for 75% off! Use the coupon code PHOTONC to claim this Shutterfly deal. Whether you’re making a gift for dad or just want to share memories in book form, this is a really great deal! Please note that this discount is off regular priced photo books. This sale ends today at midnight and is for new customers only.